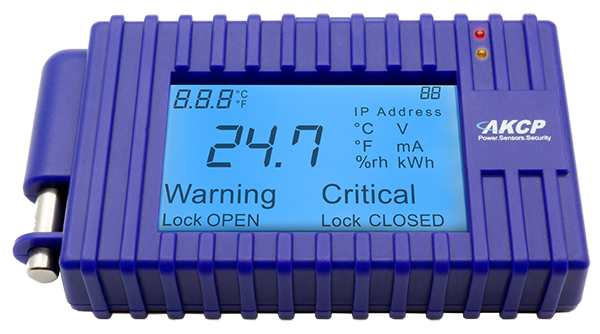 A highly configurable environment monitor from AKCP featuring four sensor ports, encrypted email alerts, an optional GSM data modem and optional SNMPv3 support. The ideal solution for small computer and server rooms. 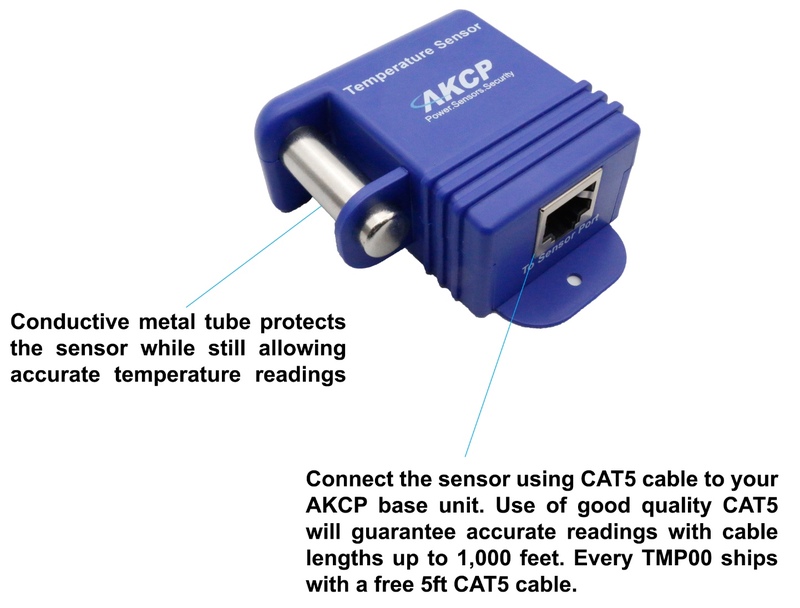 The AKCP sensorProbe2+ is an easy to use, economical complete environment monitor for alerting to changes in temperature, humidity, flooding and much more. With built-in secure web-based software, the AKCP sensorProbe2+ gives you an easy to use sophisticated Notification Wizard to alert to changes and to log and graph data. 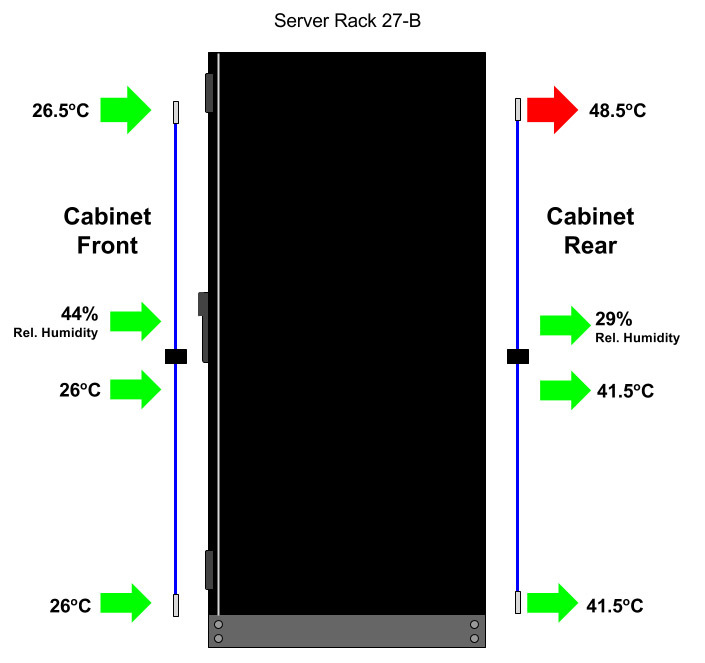 The sensorProbe2+ provides the perfect way for you to thermal map your cabinets. 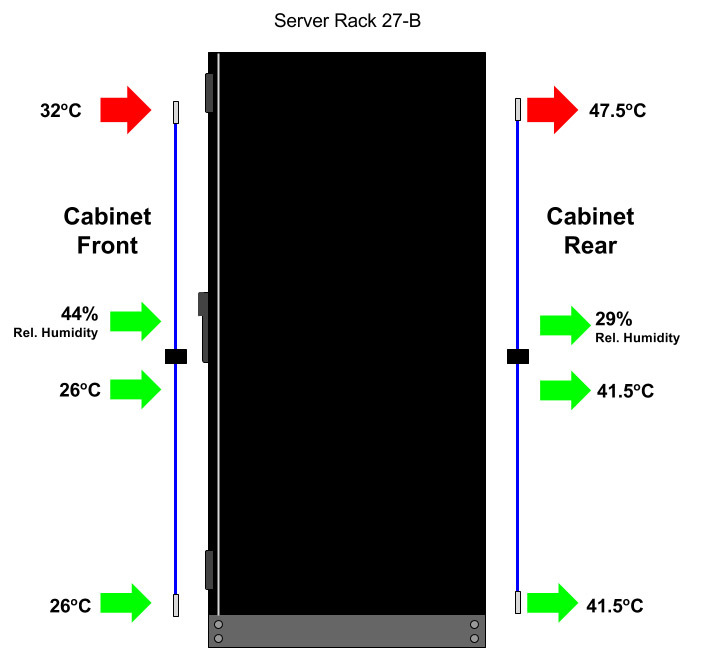 The temperature inside a cabinet varies greatly between the cold air inlet and the hot air outlet. The SP2+ provides a way to cost effectively map the temperature and relative humidity between the cold air inlet and the hot air outlet and the positions in between. Installations with more than one SP2+ or other AKCP monitoring units greatly benefit from using AKCess Pro Server software. AKCess Pro Server is a free software application created by AKCP. The application enables you to group your entire estate of AKCP monitors into a single screen, giving you centralised data logging and alert configuration.